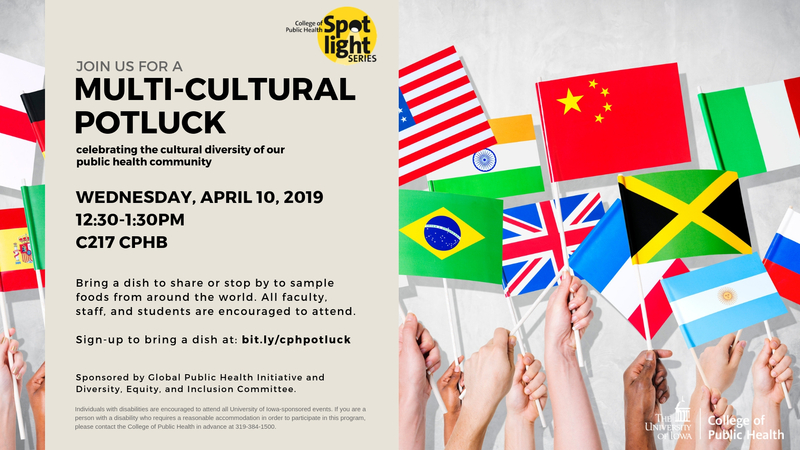 Join us for a multicultural potluck celebrating the cultural diversity of our public health community. Bring a dish to share or stop by to sample foods from around the world. All faculty, staff, and students are encouraged to attend. Sign up to bring a dish at bit.ly/cphpotluck. Cosponsored by Global Public Health Initiative and the Diversity, Equity, and Inclusion committee.